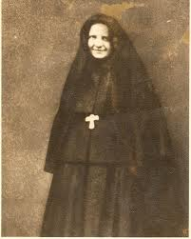 Almighty and eternal Father, Giver of all Gifts, show us Thy mercy, and grant, we beseech Thee, through the merits of Thy faithful servant, Saint Frances Xavier Cabrini, that all who invoke her intercession may obtain what they desire according to the good pleasure of Thy Holy Will. (mention your request). St. Frances Xavier Cabrini, beloved spouse of the Sacred Heart of Jesus, intercede for us that the favor we now ask may be granted. Amen. Refused admission to the religious order which had educated her to be a teacher, she began charitable work at the House of Providence Orphanage in Cadogno, Italy. In September 1877 she made her vows there and took the religious habit. She found disappointment and difficulties with every step. When she arrived in New York City, the house intended to be her first orphanage in the United States was not available. The archbishop advised her to return to Italy. But Frances, truly a valiant woman, departed from the archbishop’s residence all the more determined to establish that orphanage. And she did.